It’s been 50 years since the Med Building opened – as part of the inaugural Melbourne Medical Reunion Weekend, join us to help applaud those who have studied there. 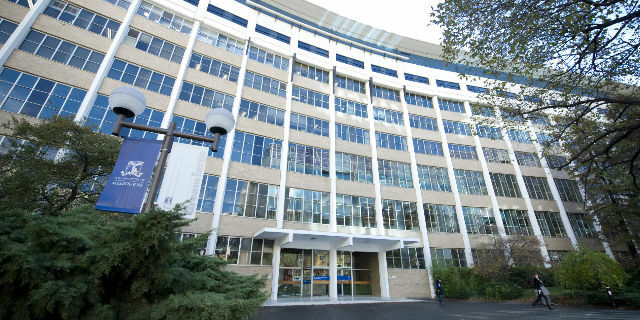 In half a century many great medical and biomedical science minds have studied at the university’s Parkville Campus Med Building. Personal and professional growth, multigenerational families, love stories and unusual teaching practices of well-loved professors may come to mind when remembering time spent in the triradiate building. The Med Building’s 50th Anniversary Block Party will headline a weekend of events as the School of Biomedical Sciences and Melbourne Medical School welcome graduates from all years for Reunion Weekend on 23 and 24 November. Hosted by Professor Shitij Kapur Dean, Faculty of Medicine, Dentistry and Health Sciences and Assistant Vice Chancellor (Health); the Block Party will include an alfresco BBQ and live music along Professors’ Walk with fellow alumni, staff and friends. Guests can enjoy an Open House where you can reminisce the days gone by and see what’s new, plus view a screening of the Med Building documentary – featuring untold stories of the place and its people. Taking discovery tours of the Peter Doherty Institute for Infection and Immunity, Royal Melbourne Hospital’s underground tunnels, Medical History Museum and more. The Reunion Weekend will also be an opportunity to meet Professor John Prins, following his commencement as Head of Melbourne Medical School this October. To find out more and book tickets for any of the events visit Reunion Weekend.